The Nocona Athletic Goods Company has been making Nokona baseball gloves in Nocona, Texas since 1934. The reason they are called Nokona gloves instead of Nocona gloves is that the US Patent Office would not allow the name of an incorporated town to be part of a trademark. The “K” gives the glove somewhat of a foreign sound, which is ironic because Nokona is one of the few gloves still manufactured in the United States. Nocona was initially a leather good company which made boots, belts and wallets. During the Great Depression Robert Storey, the company’s president and a former college baseball player, decided to start manufacturing gloves as a way to increase revenue. The company has more or less remained in family hands since and Storey’s grandson Bob Storey is currently Chairman of the Board. Nocona went through some tough times in the beginning of the twenty first century. A fire destroyed their factory in 2006. 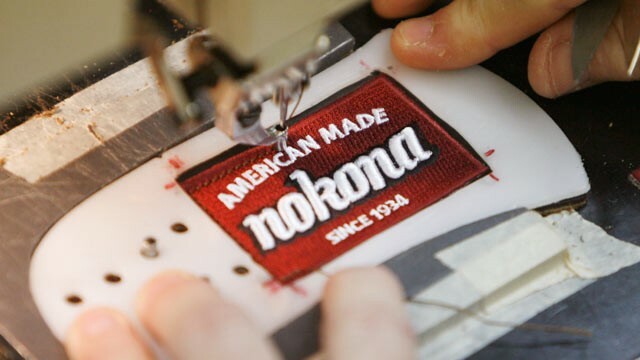 Although their factory was insured, the disaster pushed them further in with a group of East Coast investors who had already purchased half of company and who wanted to parlay Nokona’s reputation for quality gloves into a bigger market share. Their expansion plans failed and Nocona eventually had to declare bankruptcy. A new group came in and snagged the brand, with the Storey family still holding a minority stake. Nokona gloves pride themselves on being made from the highest quality leather by experienced craftsman who hand cut, stamp, stitch, lace and embroider each glove. Because they don’t use a cookie cutter approach to glove manufacturing no two Nokona gloves are the same. They are also not cheap. 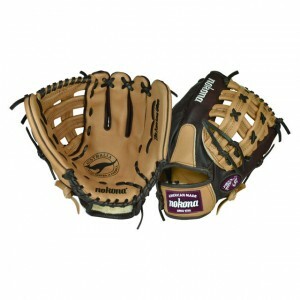 Their signature line, the bloodline, runs between $300 and $400 a glove. Made with genuine shearling cuff, the bloodline requires a heavy break in period because it is built strong and to last. Other adult baseball lines include Pro, Buckeroo and Buffalo combo, which requires less of a break-in period. 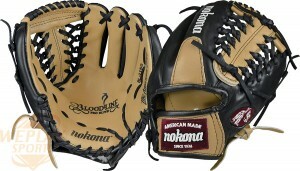 Nokona also has a few lines of youth baseball gloves and are well known for their fast pitch softball gloves. Nokona’s fast pitch catcher’s mitts, in particular, are held in high esteem. The Nokona website has a feature which allows for complete customization of a glove. Nokona offers one year warranty on each of their gloves against defective workmanship and material. Additional coverage can be purchased through their glove club program. An $89.99 platinum membership gets a full factory glove inspection after one year (with shipping included) as well as 50 percent off repairs for three years and other goodies. 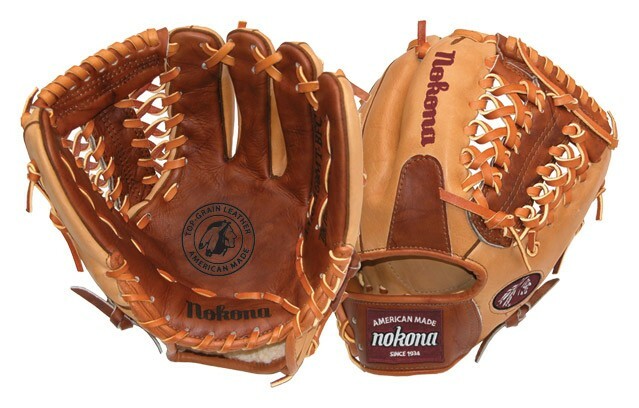 Todd Walker and Jeff Fuccillo are among recent Major League Players who wore Nokona gloves. Nolan Ryan has raved about the glove in the past, and is featured on their website explaining that his first glove was a Nokona. Nokona gloves can be purchased at your local sporting goods store or online glove retailers. Often the price you can find online or at a brick and mortar store are cheaper than what is offered on Nokona’s website. Nokona offers tours of its Nocona, Texas facility between 10:30 AM and 1:30 PM Monday through Friday. The cost of a tour is five dollars but that will be subtracted from any glove purchase. Students tour free with a valid school ID.